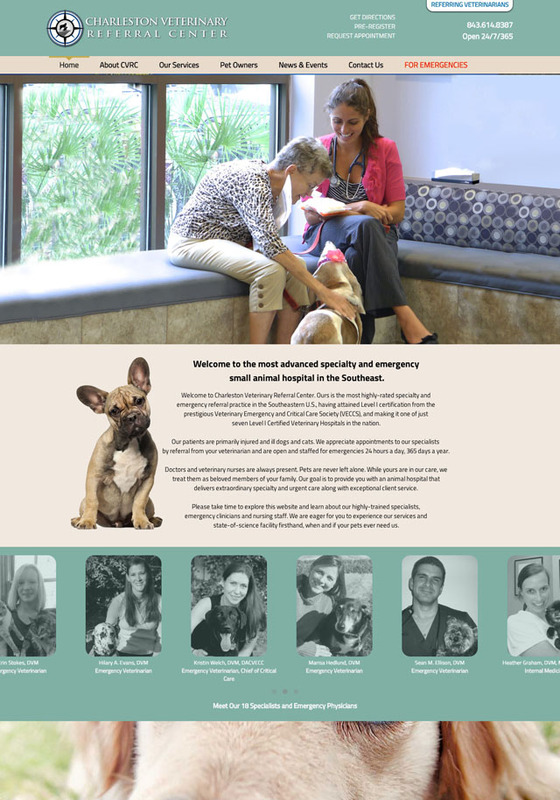 Charleston Veterinary Referral Center is one of fewer than ten Level 1-certified emergency animal hospitals in the U.S. Open 24/7/365 to referring veterinarians and pet owners, its specialties include trauma, cardiology, oncology, orthopedics, rehabilitation and dentistry. 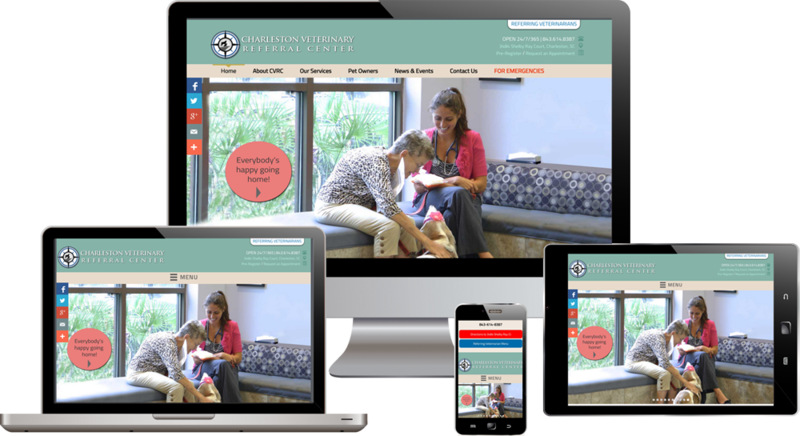 CVRC wanted a content-rich site to describe and show its services, staff and capabilities to veterinarians and enlighten pet owners about illnesses, injuries and treatment. TBG delivered.